Thursday, June 28th brought us the most recent “This Week at Bungie” (TWAB) from the creators of Destiny. Nothing can hit the player community as hard as the reveal from E3, but this update had plenty to discuss. We’re counting down the days until Forsaken (more on that later) but Bungie gave us a whole schedule of updates for the summer. Let’s take a look at what’s on tap. We head into July with the second round of Faction Rallies. Dead Orbit won the first round and it looks like a lot of Guardians are jumping to a different faction for Round 2 to get the rewards. (“Turn in your Space Goth cards at the Tower, you miscreants!” -nK) July 3rd will bring the victory lap for round 2. On July 17, players will get a chance for the third and final round of Faction Rallies for this season. July 13-14 brings GuardianCon to Tampa, FL. (“Go Bolts!” – nK) Attendees will have a chance to play the Gambit game mode that was revealed at E3. Early reports have praised the game mode as an innovative combination of PvP and PvE. Some of us who never enjoyed PvP may find a role in this unique gameplay experience. Tee, Nick and Brandon will all be in attendance at GuardianCon. 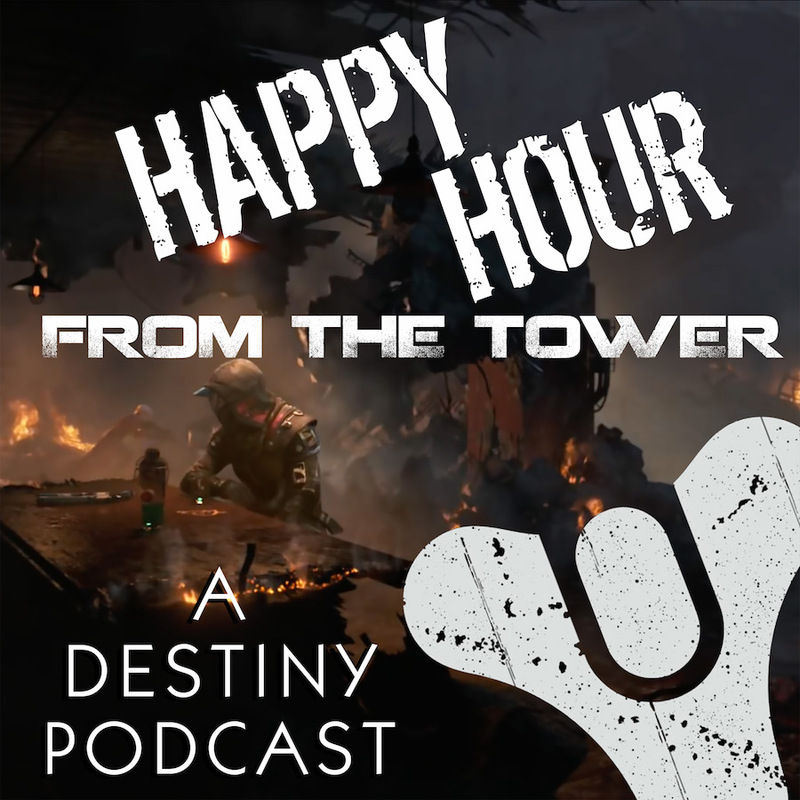 Please stop us and chat with us and let us know how you feel about the podcast, Destiny 2, or your general love of gaming. We are excited to meet many of you in person for the first time! The Crucible playlist will rotate from Mayhem to Iron Banana to Supremacy and then Doubles. Some additional changes are coming to the Crucible dynamics with the July 17 update. These include changes to the Valor rank. Players will earn Valor from competitive, Crucible Labs, Iron Banner, and Trials of the Nine. Rumble will become a full-time playlist. Supremacy will be added to the weekly featured playlist, updated to 6v6, and have a win score of 150. Quickplay is now 6v6. Clash win score goes up to 100. Control win score goes up to 150 and Control Zones all begin neutral. Update 1.2.3 will bring Prestige modes for Eater of Worlds and Spire of Stars. 400 level power armor will only be available before Forsaken in the form of the Solstice of Heroes event, but completing Prestige Raids and Raid Lairs will bring 400 level weapons. Ornaments and Catalysts will be unique to the Prestige level Raids and Raid Lairs. The TWAB also includes updates on the Collections feature and the costs to reacquire dismantled gear. There are also the regularly scheduled updates from support on known issues.